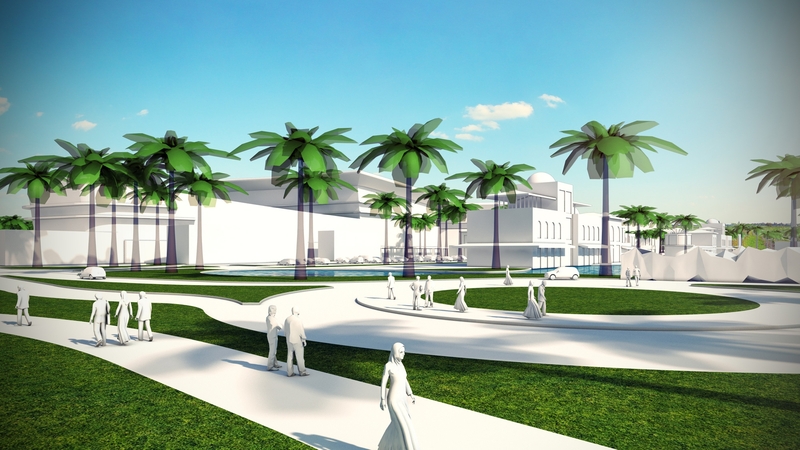 Tatweer Commercial Complex Benghazi is a design build turnkey delivery project of approximately 60.000 m² enclosed shopping mall with a large open air, lifestyle themed plaza overlooking a 20.000 m² artificial lagoon and activity zone. 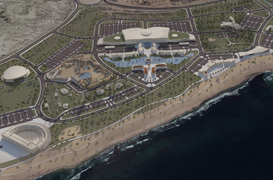 Adjacent to this is the 4 hectare AquaPark, a water fun park for families, children and teens, including a 750 seat Dolphinarium Amphitheater based on the archeological roman theater ruins at Sabratha. 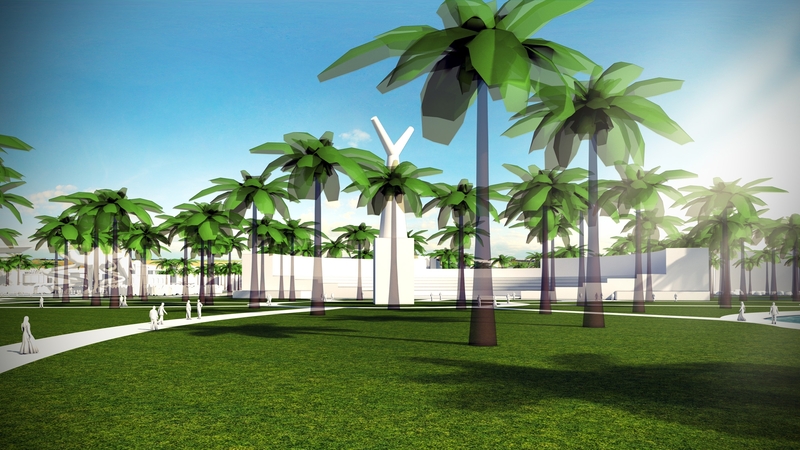 Part of the improvements include; frontage access roads, 30m wide landscaped buffer front yards, parklands, a palm lined and landscaped median main entrance leading into palm grove type parking lots that will ultimately provide 50% shaded parking. 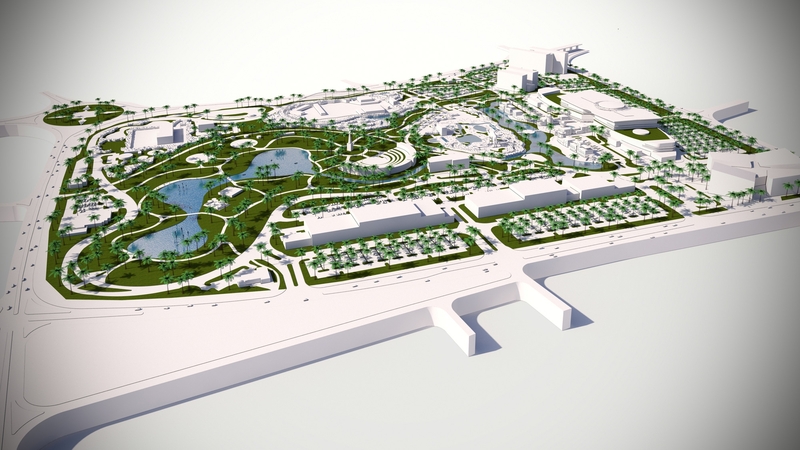 All of these functions and building construction are proposed to be completed in 17 months and TACA Construction Inc. would also provide leasing and retain management for a transitional period thereafter, a sort of full service design build turnkey handover. 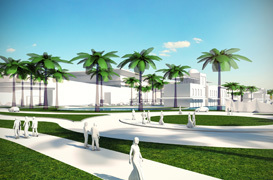 The Benghazi Mall Project is a unique design, resembling a sea wave or a giant wing with huge interior voids and gallery spaces, multiple major entries and large ground floor plazas that merge with the open air lifestyle center restaurants, cafes and boutique shops that line the lagoon boardwalk. 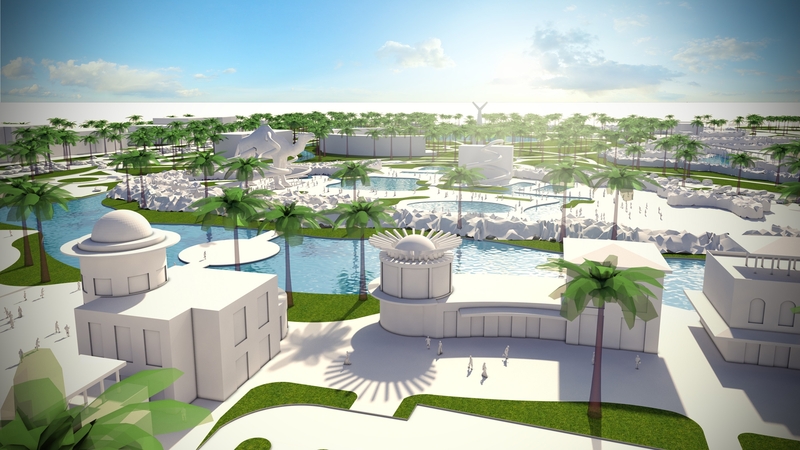 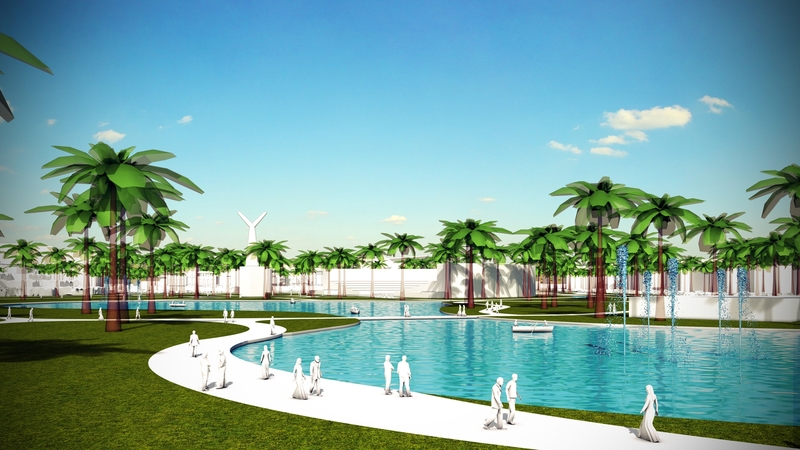 The lagoon itself has activity zones and rides as well as perimeter walks including bird watching observation decks to view the waves of migratory birds crossing the Mediterranean and first landing at the adjacent Lake Julliana. 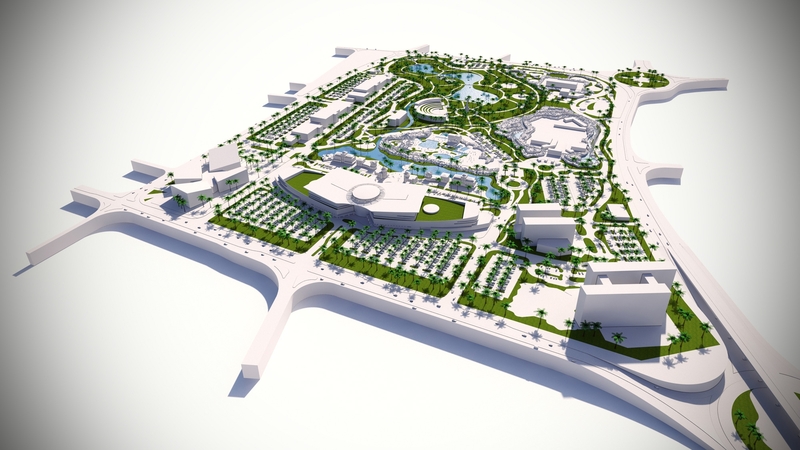 The mall has a top floor entertainment level; home to a multiplex cinema, food court and 3.500 m² children`s games zone with rides and video games. 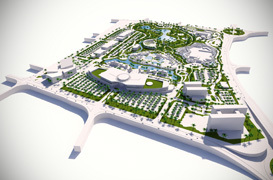 These functions and the two levels of retail shops as well as supermarket and department stores and the adjacent lagoon and aquapark will become the nucleus of shopping and entertainment and foster the lifestyle atmosphere and cohesion needed in the Benghazi region. 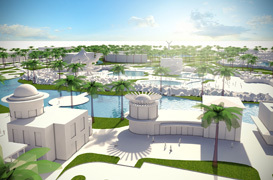 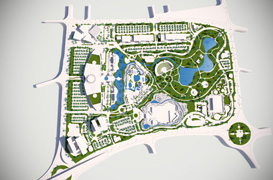 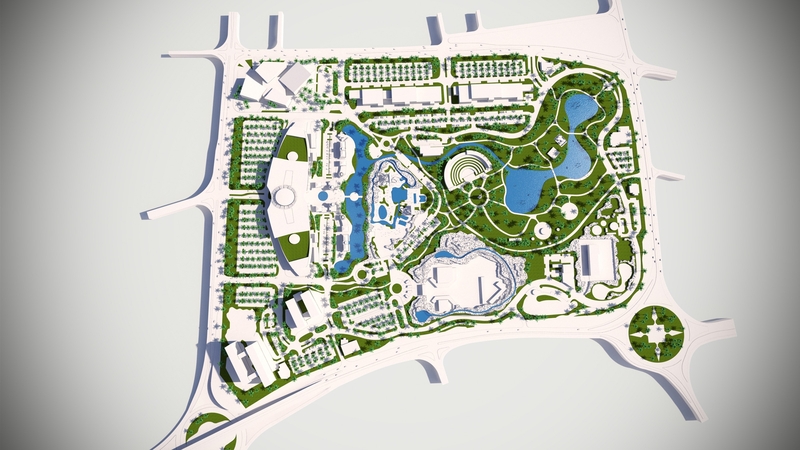 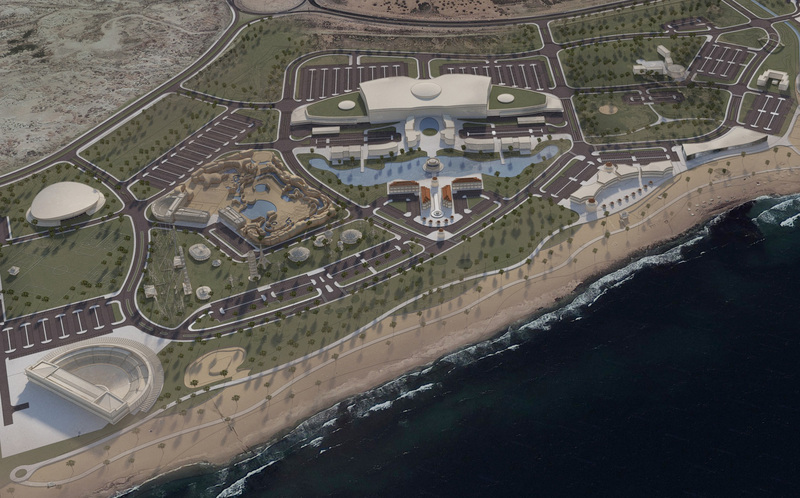 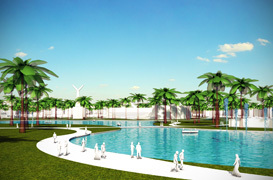 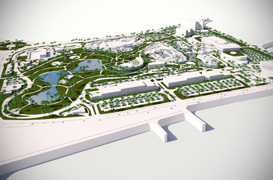 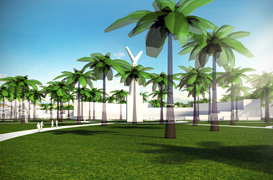 The Project contract is active and construction is expected to resume in 2012.